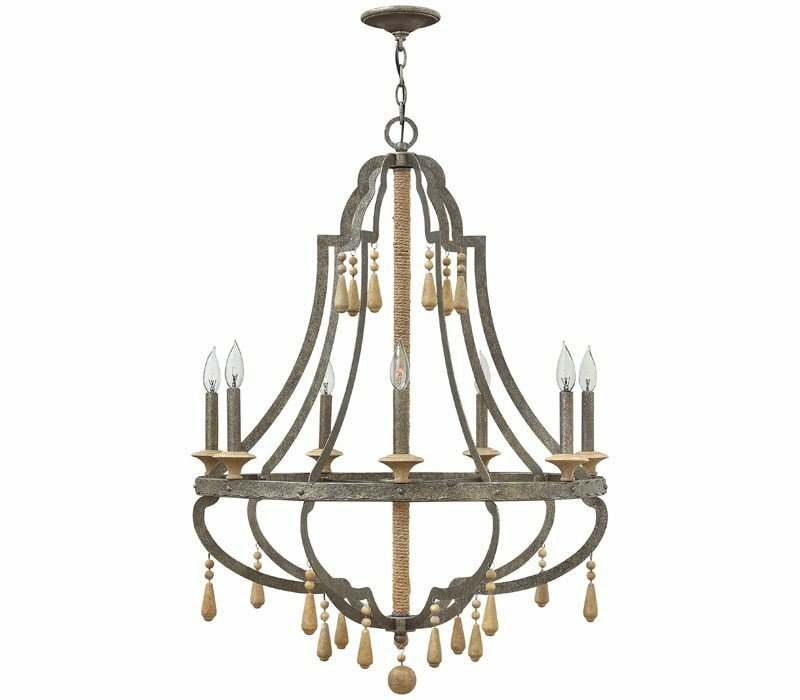 The Fredrick Ramond FR42287DIR Cordoba collection Chandelier Lighting in Distressed Iron uses Incandescent light output. This item is 39.5"H x 30"W. The total wattage is 420 and the voltage is 120 volts. 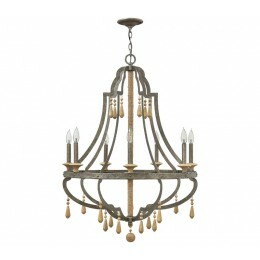 The Fredrick Ramond FR42287DIR requires 7 bulbs (not included). Additional Information: Shade-Bare Lamp.